Mark opted to join Vision in November 2015 following the sale of his previous employer in May 2015. With the new firm looking to go down a more ‘restricted’ route Mark felt it important to remain independent for the benefit of his clients and his own self development. Mark qualified as a financial planner in 2002 at the age of 22 and achieved the Diploma for financial planners in 2011. He is currently working towards achieving chartered financial planner status. Mark has successfully run and managed his own client banks both as an employed and self employed planner, before joining Vision in November 2015. His previous roles include working with the Cooperative IFA and with affinity groups and unions whilst working for Frizzells and Lighthouse Temple. Mark works closely with clients, accountants and solicitors in the South West, and is based from Weston. Mark is fully committed to providing clients quality, impartial financial advice and specialises in investments, pensions, and inheritance tax planning. 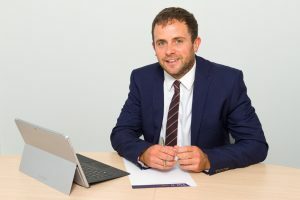 Mark also strongly believes in using technology to help clients plan for their future and where appropriate uses planning tools to create bespoke financial plans.